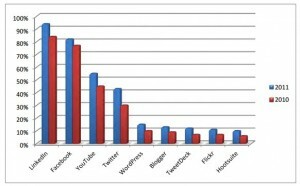 According to results of the 2011 CPA Social Media Survey, LinkedIn and Facebook are the two most popular social media used by CPAs and accountants. 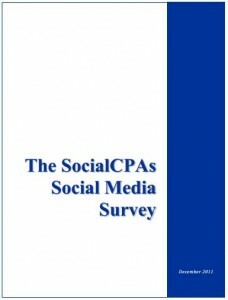 A 2011 survey, conducted for the the second year, had the goal of determining if accounting professionals are adopting or avoiding social media. More than 650 accounting professionals participated in the survey from around the globe. Seventy-seven percent of the participants indicated that they worked for a CPA or accounting firm. We had great representation from all four generations currently in the workplace, with the majority of participants coming from the Baby Boomer generation.